If you are more likely to eat a handful of chocolate chips than a handful of elderberries, then this is the post for you! In the last few months I’ve been thinking about the great chasm between the food I eat and write about ($4 quinces come to mind) and the unsettling hunger that is only a few minutes away from my doorstep. But a few weeks later, I found myself at the San Diego Botanical Garden, which also has an abundant crop of fruit trees heavy with delicious treats. I innocently asked about the intended destination of the ripe fruit (I may or may not have had a couple guavas in my pocket at the time) and found out that it just goes to compost and gets put back in the soil. No one eats it because of the California quarantine. Now I generally understand the agricultural reasons for this. I really do. But for some reason the travesty of this gorgeous and life sustaining produce just going to “waste” rather than filling hungry bellies upset me. I have been trying to figure out how to help every since. How can I bridge my seemingly extravagant world of exotic produce and the world of the starving person? This bake sale isn’t the whole answer obviously. But it is certainly a worthy small piece, so I’m thrilled to be offering up a few delights for the cause. 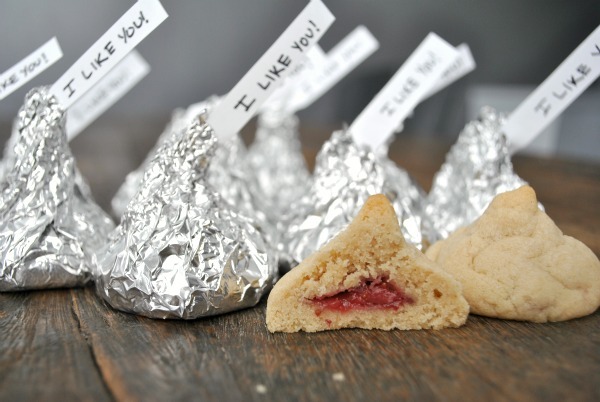 On the day of the event I will be making these Peanut Butter and Jelly Kisses and selling them for a dollar each. A single dollar provides 10 healthy meals for a child. Good stuff. If you are in San Diego, you should definitely come out to Great News on April 28 between 10:00 am and 2:00 pm and help support the event. There will be lots of treats from a few dozen San Diego bloggers, so I’m guessing you won’t leave empty handed! But for those of you who can’t make it or don’t happen to live in San Diego, I have another option for you! I am offering up two dozen cookies, made by my very own hands for auction. I will make you any single kind of cookie you would like. Here are some options to choose from or you can put in a request. (Most of these are my favorites and are from Sweet Miniatures by Flo Braker). 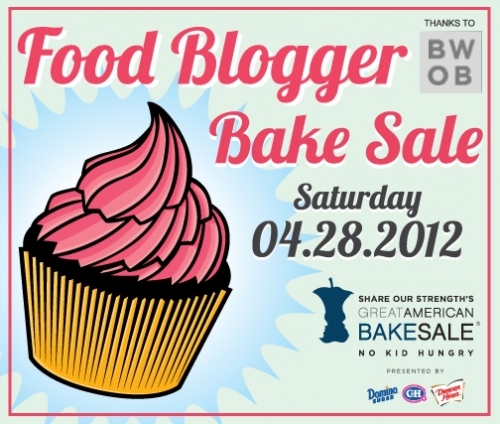 Leave a comment here saying how much you are willing to pay for the two dozen cookies. Bid back and forth for the next 4 days. On Friday, April 13th at 2:00 pm, whoever has the highest bid will win! I willcontact you and then you can go over here and make your donation on our donation site. So get going! I expect to bring in the most money! Don’t leave me hanging. p.s. To my friends who know me in person and claim they would pay for my cookies — THIS IS YOUR CHANCE. Bid now or forever hold your peace. Ohhh fun! Yummy. I would want the lemon ginger sandwiches and I bid $10 !!! YAY! Bids!! Woo hoo. Thanks !!! What a great cause! I’ll bid $40 — you can surprise me as to which type. If I do win, I’d also like to buy $5 of your Peanut Butter Jelly Kisses (but I will not be attending the event). Can you please deliver? Woot! $45 so far. I can’t believe it. Keep the bids coming, it’s such a great cause. 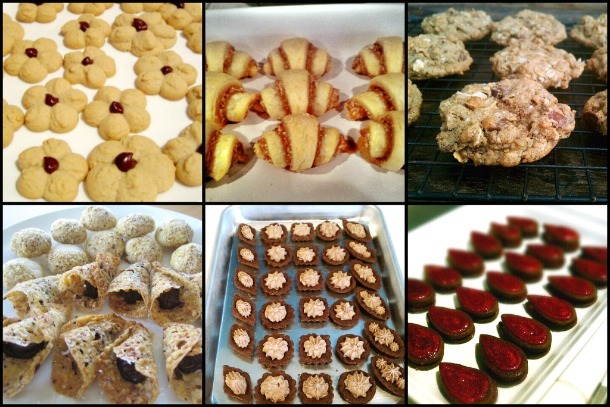 Can’t bid right now, but wanted to contribute my lusting for Autumn Acorns and Rugelach and Biberli and Pastry Strips (yeah, I’m nutty) and all those beautiful cookies. Lucky winners! Wow, I can’t believe they don’t do a gleaning for the local churches or food banks. 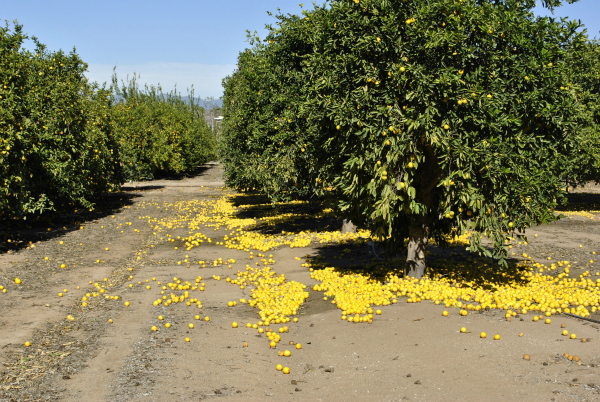 We have one group of jam makers advertising a barter scheme for homegrown citrus (since you can’t walk 10 feet in Phoenix without passing a citrus tree) and they say they’ll come to your house and do the picking, and give you some of their jam. And our winner is Carrie at $55.00. For everyone else, if you want to you can still donate to this charity (but with no bonus cookies alas) at the donation page here.